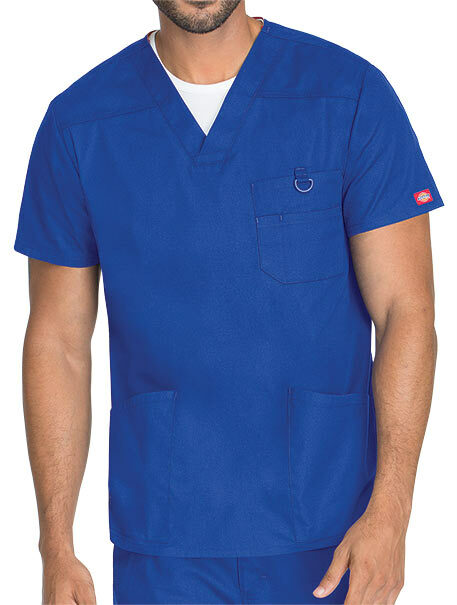 A Men's V-neck top features Dickies logo twill tape at the back neck, a double chest pocket with self strapping and a D-ring. 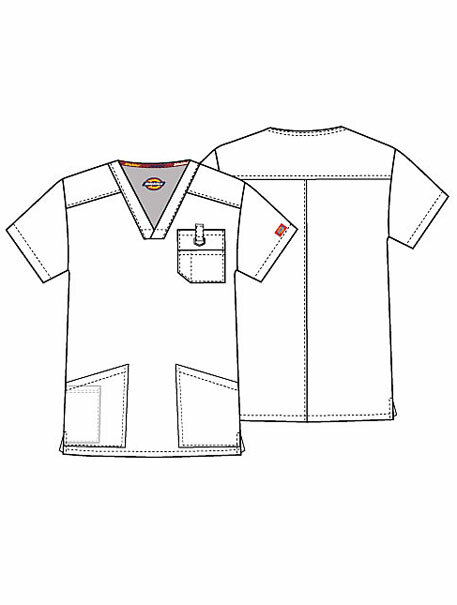 Also featured are patch pockets, a stretchy Galaxy Blue knit interior pocket (White knit pocket on White), a back yoke, a center back seam and side vents. Center back length: 29".